Spring has come with fresh new ideas and a new wishlist to share with you. I don't know what I'm more excited about: floral dresses, floral shoes, off the shoulder shirts or pastel color bags. 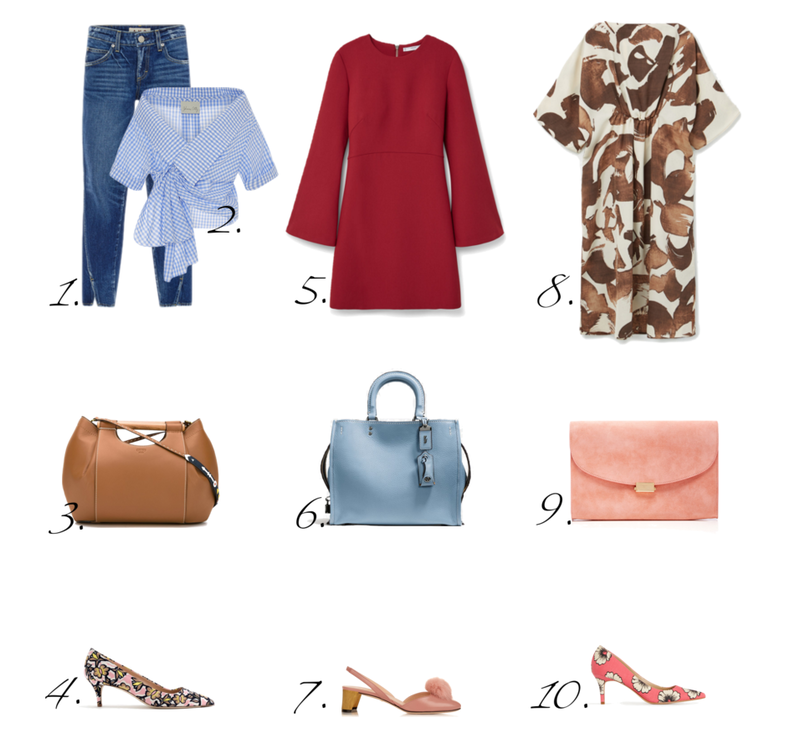 I let you decide what are the "must" have pieces for this season. I personally love them all with no exception. These are some great outfit combos! I like your picks. I so can see you in the blue gingham blouse and jeans with a fun patterned shoe.